Fuelled by Soul/Funk & Disco, the electro-injected sound of Detroit’s Hip-Hop heads, and experimental electronics fom the early analog synthesizer era (Moggi, Moroder, Fevre…), Fulgeance delivers his own vision of club funk and future beats. 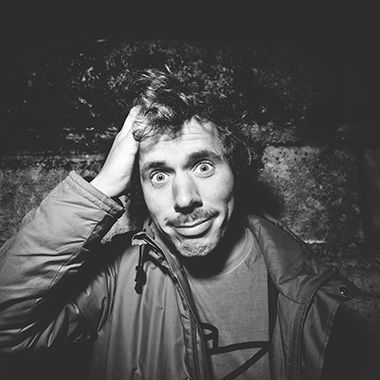 Hyperactive by nature, his productions (as Fulgeance, Peter Digital Orchestra or Souleance) have served as a showcase for his MPC skills and rich musical heritage, establishing him as a rising figure in the French beat producer scene with growing worldwide recognition. Live on stage, Fulgeance exposes his full potential as a musician and showman, moving crowds from Tokyo to Vilnius, by way of Los Angeles, Londres, Detroit, Athenes or Tel Aviv with an explosive live set, dynamically beefed up for the club. Whipping up dancefloor funk worldwide, he has established quite a reputation for himself, while repping the independent scene through the label Musique Large. His first EPs Chico, Low Club and Glamoure released on his own label Musique Large received positive acclaim and have been seen on playlists of many dj’s such as Gilles Peterson, Mary Ann Hobbs or Lefto. He also produced songs on the seven-inch series 7*7 on All City Records, alongside Hudson Mohawke, Mike Slott, Le Neko and Onra. Smartbanging out through UK label One Handed Music (Bullion, Paul White, Mo Kolours..) and 4 LP, TO ALL OF YOU for Melting Pot Music (Koln), STEP THRU for slovenian label Rx:tx, CUBES on Musique Large and an EP on prestigious french label ED BANGER called The Phoenix. His latest new projects as Fulgeance, « Homecooking » and « Timestress » with VECT, are signed both on Cascade Records. Fulgeance est le musicien électronique le plus hyperactif de Caen. Entre ses alias Souleance, Claude, Peter Digital Orchestra et on en passe, le producteur arrive à trouver le temps de sortir d’excellents disques sous son premier nom. Entre l’analogique des 70’s, le hip-hop instrumental de Detroit et la Black-Music, Fulgeance prouve tout son potentiel sur scène, ce qui l’envoie régulièrement aux quatre coins du globe. Dernière preuve de son talent, son EP The Phoenix est sorti sur le prestigieux label Ed Banger. Ils signent ses deux derniers opus (« Homecooking » et Timestress » avec VECT) sous son alias Fulgeance avec Cascade records.